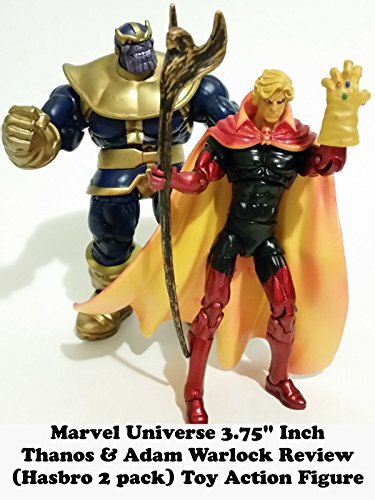 This is a Marvel Universe 3.75" Inch THANOS and ADAM WARLOCK 2 pack review. It is made by Hasbro and is a fantastic set. Thanos is a repaint of a solo carded figure but does not have the Gauntlet. Adam Warlock is exclusive to the set and did not have a solo card. He also has the Infinity Gauntlet. Both figures are well made. And if you don't have a Thanos already then this is a great buy.